Another great week in Las Vegas. The lights were bright and the excitement was high as we sponsored Interop 2015 at the beautiful Mandalay Bay Convention center. 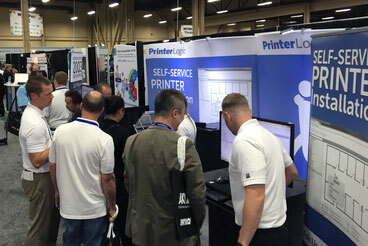 We were there to showcase our enterprise printer management solution. It never ceases to amaze me how excited people get when we tell them they can eliminate their print servers. Disbelief quickly turns into excitement when I tell them we also enable centrally managed direct IP printing and empower end users to install their own printers. Our Release Printing module was also a big hit. It provides server-less and secure pull printing that allows users to print from any device to any network printer. Because they have to be physically at the printer, organizations get the added benefit of increased security and reduced waste of print consumables. We also featured our Mobile Printing solution, which will be announced next month. Don’t want to give too much away, but we’ll be offering a very simple way for IT to enable mobile, BYOD users and guests to print, and it won’t matter if they are on or off network. Also, who knew that you can actually eliminate those Windows 2003 print servers instead of migrating to new print servers? As we know that the end of support is coming up July 14th 2015, we need to hurry and find a solution that can solve this. Look no further! Don’t Migrate. Eliminate Your Print Servers. If you haven’t already, let us give you a demo so you can see for yourself how we are working with customers to eliminate print servers, empower IT and staff, cut costs and enhance print management. Interop is a leading independent technology conference and expo designed to inspire, inform, and connect the world’s IT community. It featured new programs, networking opportunities and classes that help organizations' IT action plans. 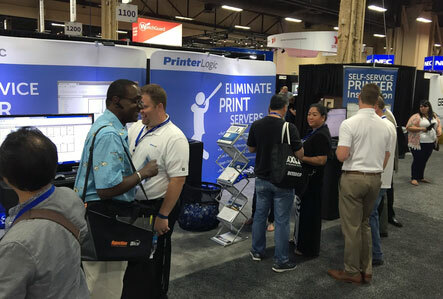 As Marketing Specialist for trade show and events at PrinterLogic, it's my job to share our Eliminate Print Server message with the people we meet directly. For more than two years, I have worked in the sales and marketing departments and have had the opportunity to directly solve one of the biggest IT pain points our customers face—managing their printer environment. I am excited about our product and am proud to work for such a great company.